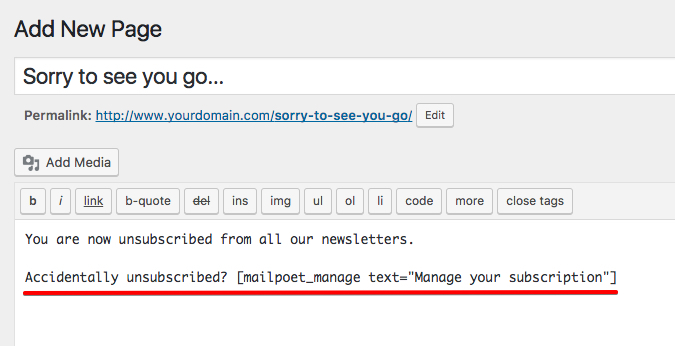 When your subscribers click the "Unsubscribe" link at the bottom of your newsletters, they will be directed to MailPoet's default Unsubscribe page. 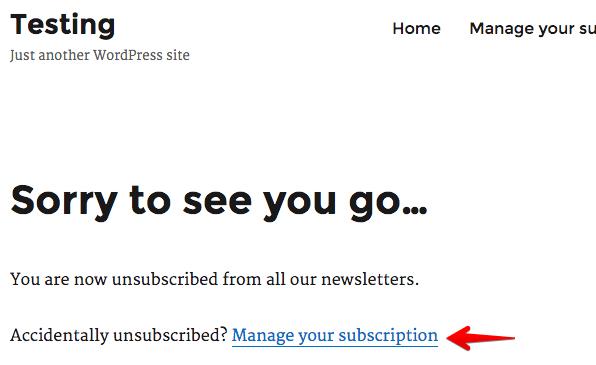 If you want to use a custom Unsubscribe page instead, here's how you can do it. 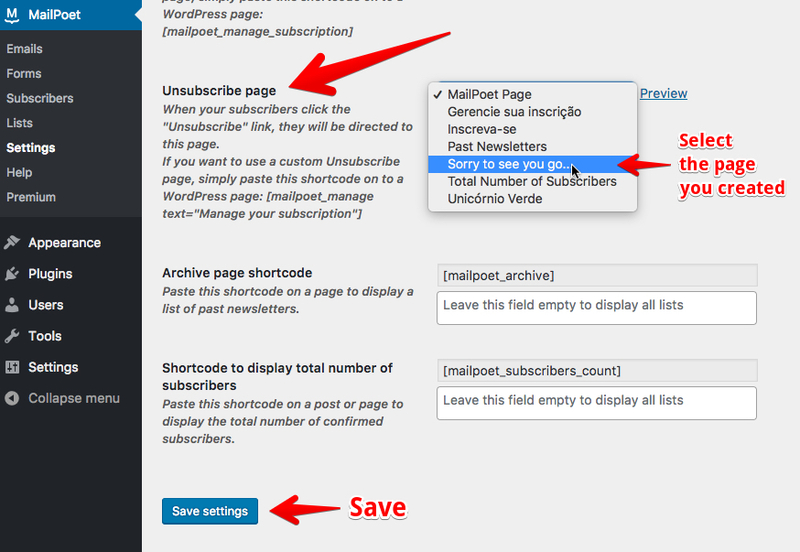 You can also add the shortcode [mailpoet_manage text="Manage your subscription"], in case the user had been accidentally unsubscribed, so they can manage their subscriptions. 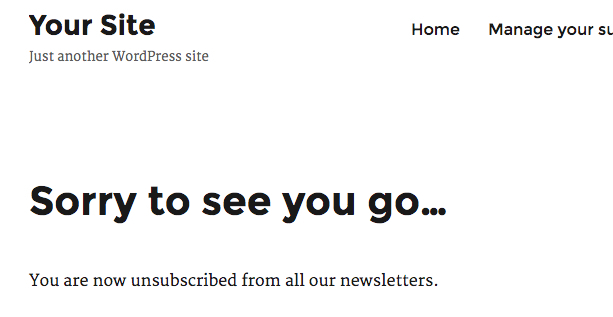 You can click on Preview link to see what your custom Unsubscribe page will look like. 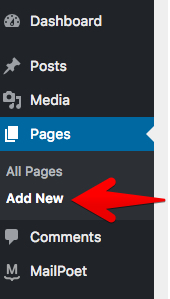 Don't forget to save your settings when you finished editing.